Ascending Butterfly: Seriously, it's Celebrate Your Name Week! I don't know why obscure factoids bring me joy but they do! Did you know it's Celebrate Your Name Week? It's celebrated annually the first complete week in March, and this year it's being celebrated March 3-9, 2013. 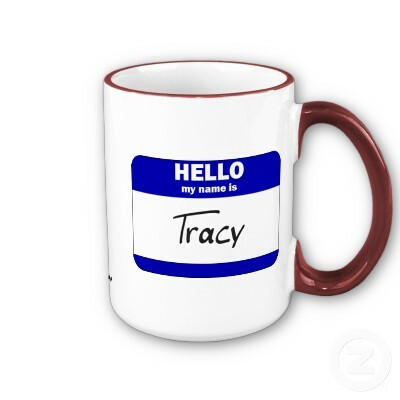 Each day relates to a different element of what goes into your name. Sunday, March 3rd was Namesake Day, Monday March 4th was Fun Facts About Names Day, and today, Tuesday March 5th is Unique Names Day. Today is the day to celebrate those names that aren't found on things like ready made key chains or those tiny mini license plates! If you don't believe me, check out the Names Universe website for more info and find out what is celebrated during the rest of the week! I love the questions the site asks right at the start: Who would you be if you didn't have a name? Your name identifies you to the world, it's a part of your personhood and this week challenges you to connect to your name! I love looking up what names mean also, for example my first name, Tracy is of Greek Origin and it's meaning is "harvester, summer", it is also of English origin where it means 'place of Thracius", it's also considered to be an Anglicized form of the Gaelic name Treasach which means "warlike, fierce". (Most people that know me and my hair trigger temper would probably classify me under the Gaelic definition of my name, I am more patient now, but even the most patient people have their limits). There might be something to this 'What's in a Name' stuff because in the Greek origin where my name is attributed to Summer does seem to fit, I love Summertime, I love the Beach and swimming in the Ocean! 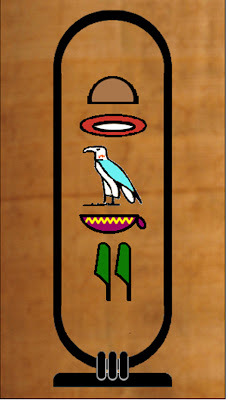 Hieroglyphs were called "the words of the Gods" by the Egyptians and were used mostly by the Priests. 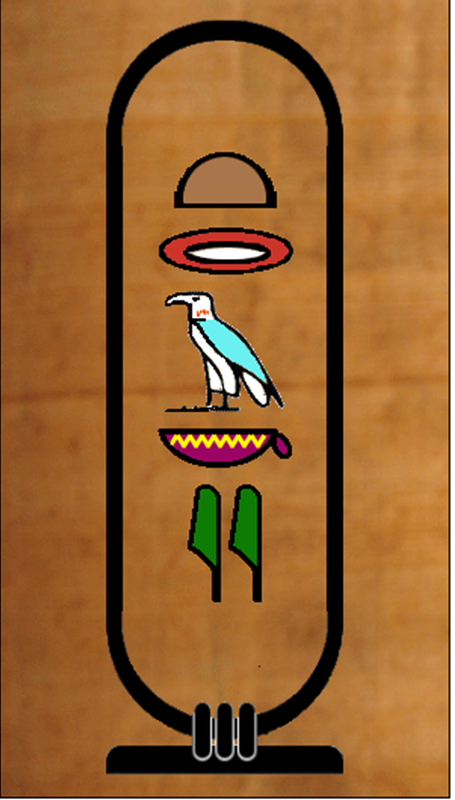 These beautifully drawn symbols were used to decorate the walls of holy sites and temples. 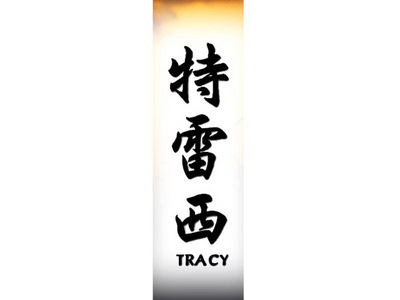 In other odd trivia, the name Tracy has an 'Expression Number' of 22 in Numerology, and for quite a long time I tend to notice the time when it's 2:22 whether it's a.m. or p.m., coincidence? You decide! 22's are considered 'Master Builders' and their Positive Traits are: perceptive, practical, strong, intelligent, and able to handle large scale tasks! and suggested careers for 22's are: manager, politician and builder! It's described as a hard number to live up to because it is capable of such great success. Will you join in the fun and celebrate YOUR name this week Butterfly? FTC Disclosure: This is NOT a sponsored post, no monetary compensation has been received to share fun facts about names! I have decided to join in the CYNW (Celebrate Your Name Week) Fun! @Teresa - I am so glad I'm not the only one, everyone keeps telling me I should have tried out for Jeopardy! I studied numerology a bit when I was younger, I know my Life Path number, but didn't know about the Expression Number either until I started all this research for this post. I guess it's no coincidence that 22 or 222 seem to follow me everywhere. If I'm watching a movie or TV, there will be 2 somewhere in the background. I also read on an Angels site, that the appearance of 222 is your Angels or Spirit Guides telling you that a prayer is about to be answered, and to be patient and have Faith! How cool to see all the ways your name was shown.gotta go check mine ouT !! Well, you have me curious what my number is now too. : ) I love all of the random holidays too. Especially make up you own holiday, day. I have that one marked in my calendar to have some fun with the kids. Very cool!! I need to learn how to sign my name. I'm very curious now. Great post!! As you know, I have a very unusual name. Yadira is a hebrew name which means "friend". It defines who I am completely. Love it! @Yadira - That's beautiful, I didn't know that the translation to your name was 'friend'. I love that! Momndaughtersavings.com - This is so interesting. I want to see what my name looks like in different lang. Thanks for this! It was really fun to read. Great post! My name is Patricia, so not unusual, at least not in the 50s when there were always Pats, and Pattys, in my classes. I liked the name Patricia and patrician. I spent a lot of time walking around with a book on my head to achieve that patrician stance.